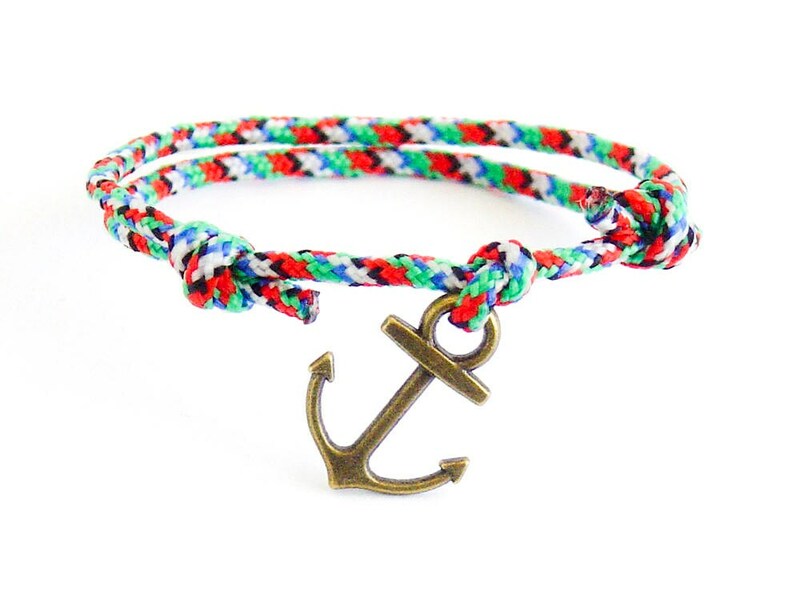 This is handmade bracelet, created in 14 colors, that makes a perfect corresponding long distance friendship bracelet set. 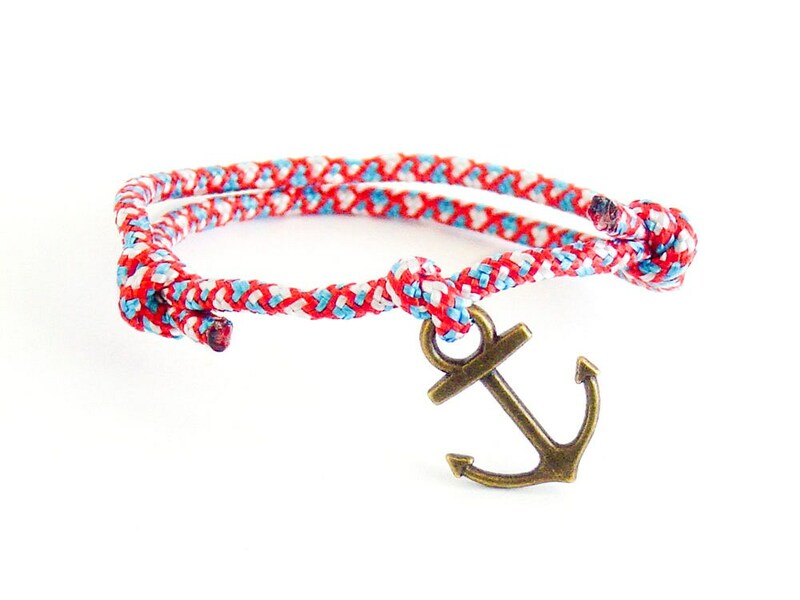 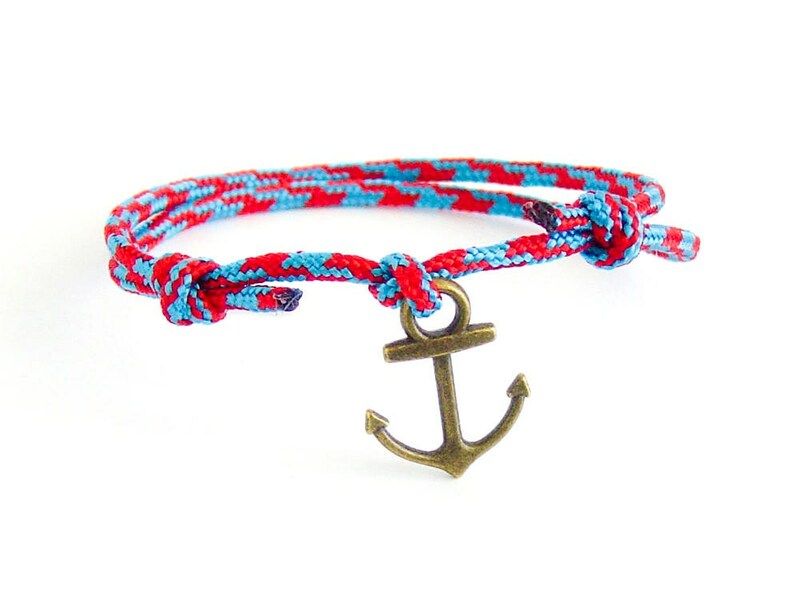 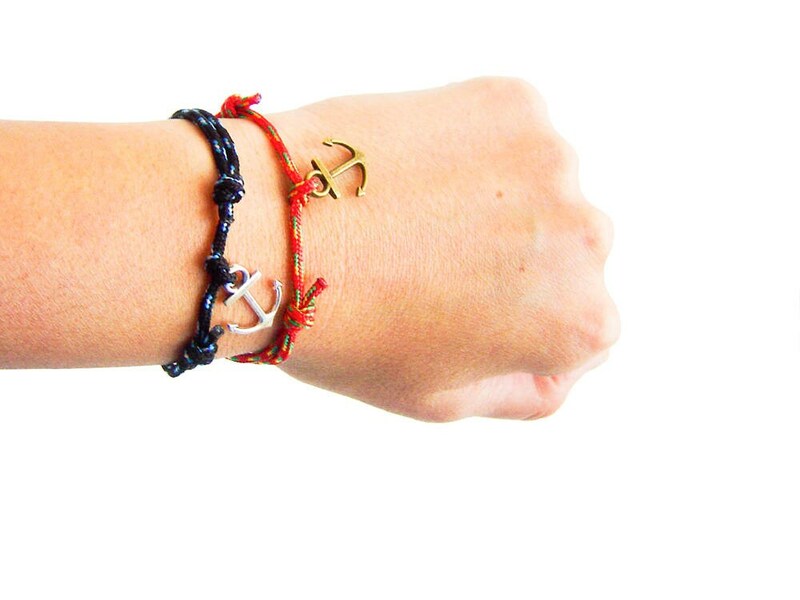 It is created of tiny cord rope with adjustment knots, and an anchor for a decoration. 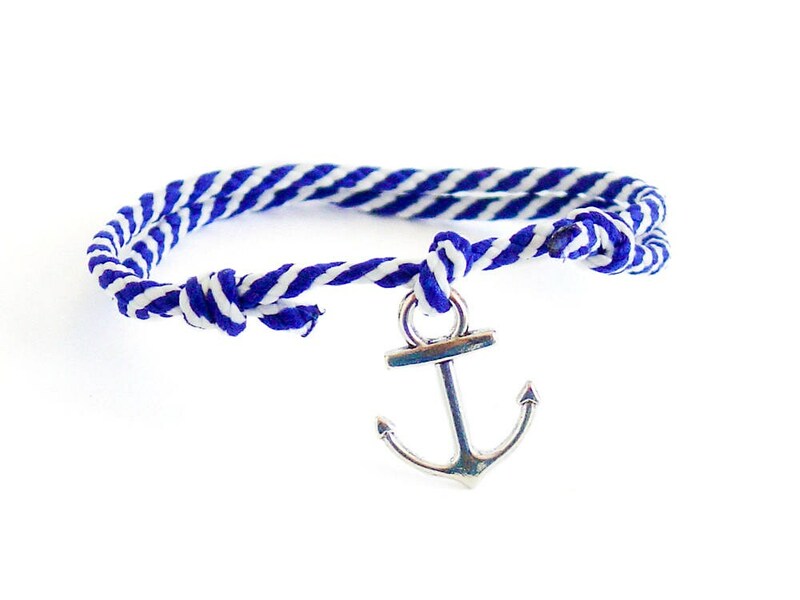 They can be used as mens bracelet or an unisex bracelets, because you can adjust their length when you slide the knots. 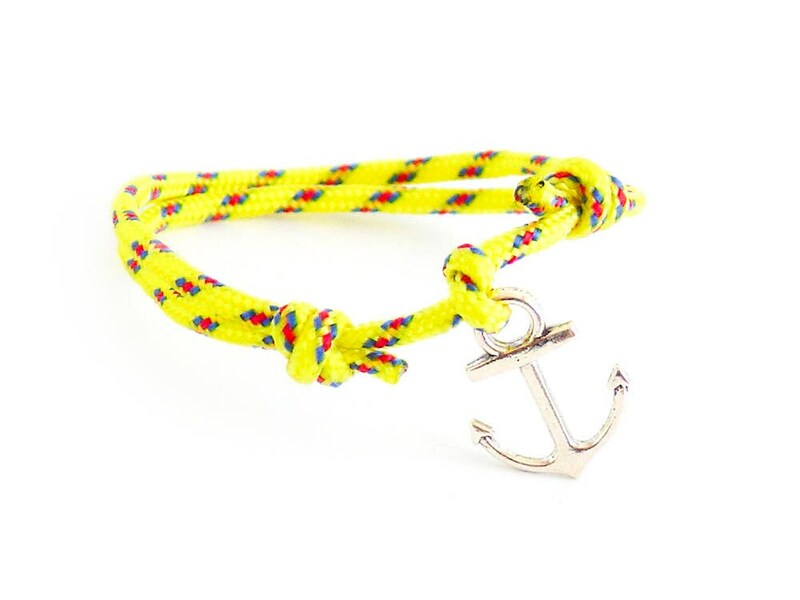 You can adjust the length of this string wish bracelet from 12 cm (4 3/4") to 25 cm (9 13/16"). 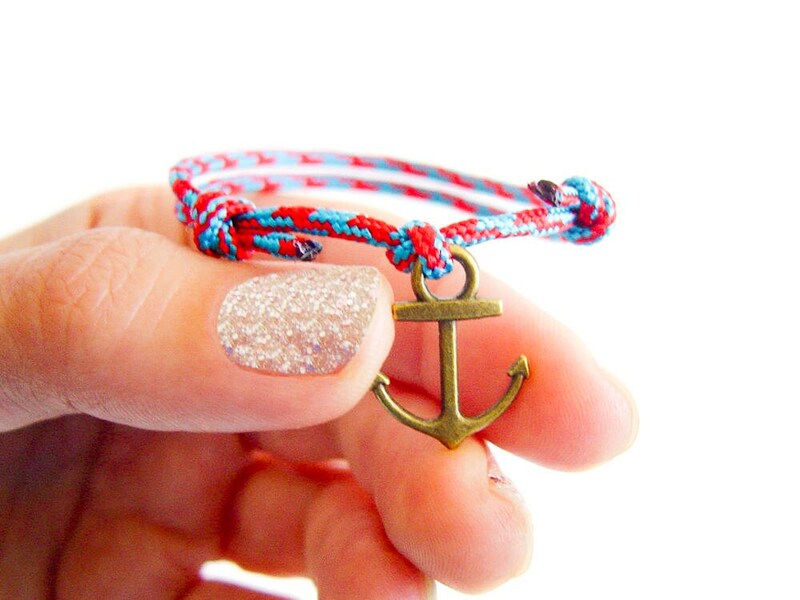 The metal anchor can be in silver of brass color. 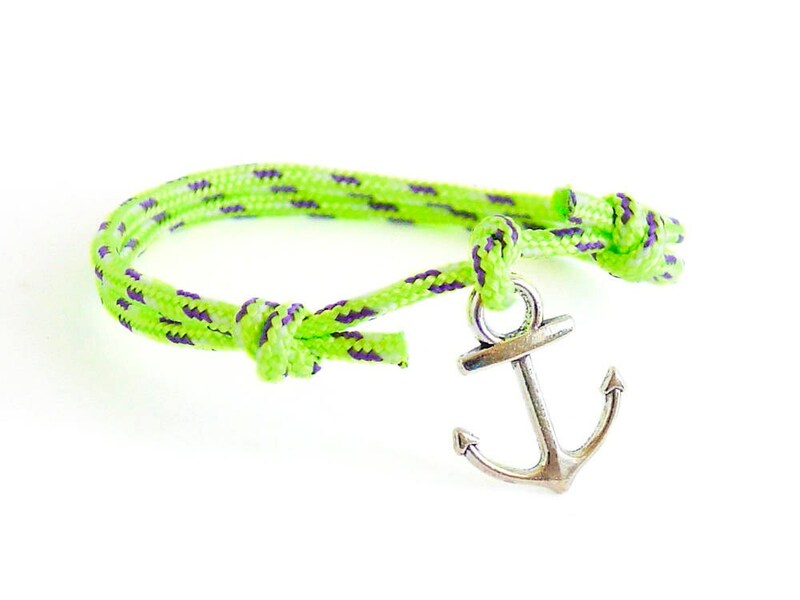 The anchor is made of zinc..
1.9 cm long (3/4"), 1.5 cm (9/16") in the widest part. 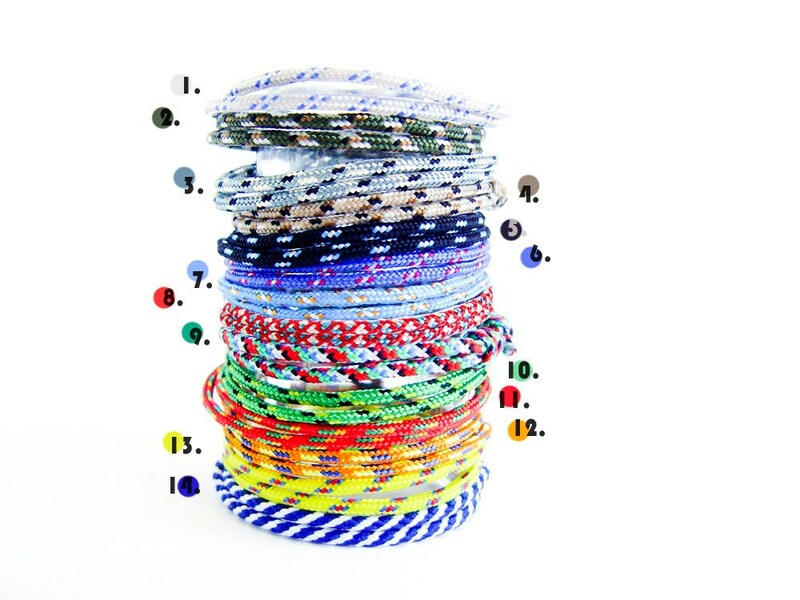 The diameter of the paracord of the handmade bracelets is 2 mm (3/32"). 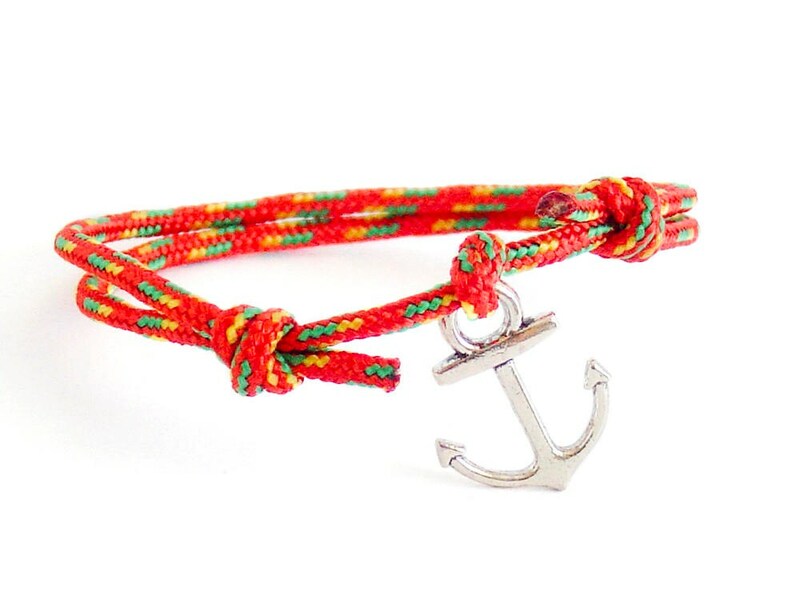 You order this bracelet gift wrapped as best friend gift.